If you’re living with back pain, relief is around the corner at Tahoe Fracture & Orthopedic Medical Clinic’s Gardnerville, Nevada, office. Our team of specialists — including surgeons, physicians, physical and occupational therapists, and more — is here to help you work toward the relief you desperately need and deserve. Discectomy — If you’re living with a damaged spinal disc, you may be able to achieve relief from back pain through a discectomy. During this procedure, we remove the portion of the disc that is exerting pressure on surrounding nerves and causing you pain. Corpectomy — This procedure is commonly used for patients living with spinal stenosis (a degenerative condition characterized by the narrowing of the spinal canal), as well as those patients who have sustained a sudden injury resulting in the compression of the spinal cord. During a corpectomy, we remove part or all of a vertebral body (the cylindrical, flat part of vertebrae that provides a base for spinal discs), thereby relieving pressure on the spinal cord and the surrounding nerves. Spinal fusion — This procedure is used for patients with severe disc deterioration and spinal instability. During a spinal fusion, we remove a damaged disc and insert implants into the empty disc space so that the surrounding vertebrae will grow into a solid piece of bone. 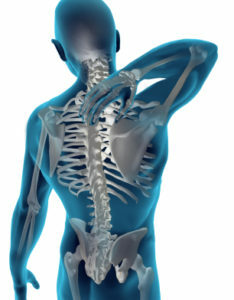 This helps to stabilize and support a weakened area of the spine. If you’re seeking back pain relief, we invite you to make an appointment at Tahoe Fracture & Orthopedic Medical Clinic’s Gardnerville, NV, office, or at any of our other locations in the surrounding area. Our knowledgeable team will be happy to provide you with additional information and answer any questions you may have.